Learn about CFPD's 20 years of service in our new video, One Person At A Time. Click the image to watch it right now. Gov. Tom Ridge called President Donald Trump's proposed cuts to a number of disability programs supporting people with disabilities "not only unjust but also fiscally foolish." Ridge, who currently serves as the chairman of the National Organization on Disability, said in an op-ed for The New York Times that Trump's proposed 2020 budget would cut tens of millions of dollars in programs for people with disabilities. The post Tom Ridge: Trump Cuts to Disability Programs ‘Unjust,’ ‘Foolish’ Read Newsmax: Tom Ridge: Tens of Millions of Dollars in Trump Cuts to Disability Programs appeared first on National Organization on Disability. The post Tom Ridge, Former GOP Governor of Pennsylvania, Takes Aim at Trump Cuts to Disabilities Programs appeared first on National Organization on Disability. Funding for the Special Olympics may have been restored, but many important programs are still on the chopping block, writes Gov. Tom Ridge in the New York Times. We must do more. The post Trump’s Budget Is Full of Cuts Aimed at People With Disabilities appeared first on National Organization on Disability. The post Roundtable Coalition Convenes to Advance Critical Issue of Employment for People with Disabilities appeared first on National Organization on Disability. The post NOD Welcomes Marriott International, Prudential Financial, The Boeing Company, Ruderman Family Foundation Executives to Distinguished Board of Directors appeared first on National Organization on Disability. On March 23, 2010, President Obama signed the Affordable Care Act (ACA). The law puts in place comprehensive health insurance reforms that will roll out over four years and beyond. The ACA removes lifetime limits on health benefits and creates new coverage options for individuals with pre-existing conditions. Colorado later approved Medicaid Expansion for individuals under 65 years of age with income below 133 percent of the federal poverty level (Approximately $15,000 for an individual), which began January 2014. There is currently no asset test for this program. The Medicaid Waiver Program will remain the only real benefit program that will cover significant custodial home care services for people with disabilities. Long-term care in Assisted Living Facilities and Nursing Facilities will still be paid by Medicaid when an individual does not have Long-Term Care Insurance, or income/resources to privately pay. Supplemental Security Income (SSI) will continue to have a resource limit of $2,000 for individuals. When an individual who meets the income requirements for Medicaid Expansion and does NOT need Long-Term Care or a Waiver program receives a windfall (PI Settlement, Back-payment in SSA, Inheritance), as there is no asset test for the Medicaid Expansion Service. Individuals need to evaluate their eligibility for other programs such as LEAP, Food Stamps, etc. 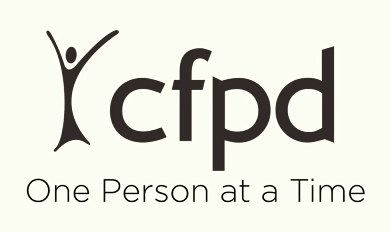 - CFPD provides a link to a network of community partners and resources. Consult with an attorney who is well-versed in the Affordable Care Act. Call CFPD to discuss your individual situation. Our staff have been trained in the ACA and follow the implementation of new services and the impact of SNTs.